L’Alfàs del Pi is served by a daily Express Shuttle transfer to Alicante ALC airport with a maximum of 6 stops, or via private transfer. The shuttle operates 7 days a week 365 days a year. Alfaz is just 62 km from Alicante airport and the journey time is just 50 minutes (plus drop-offs) depending on type of transfer booked. Murcia airport is 148 km from Alfaz with a journey time of about 1 hour 50 minutes by private taxi transfer. 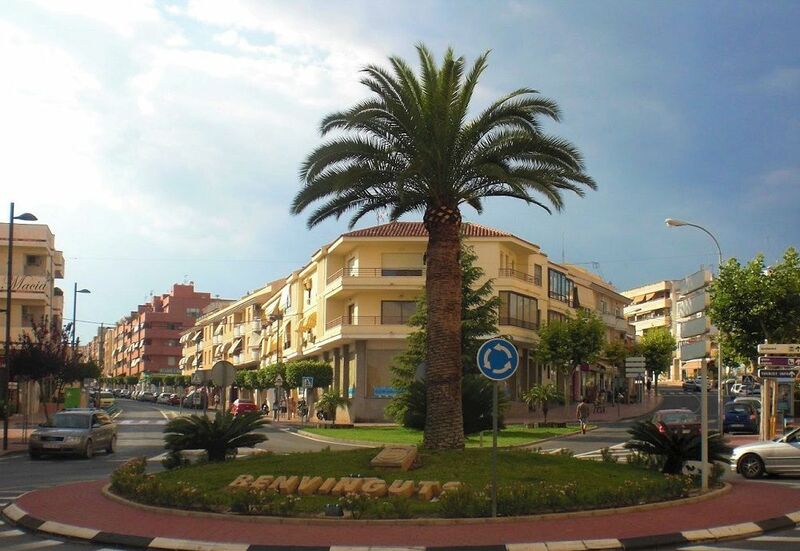 Alfaz is located inland just over 3km from Albir Playa and is a small vibrant and busy working town. A popular place for many thousands of ex-pats from all over Europe who make Alfaz their home in Spain all year or in the Winter months due to the ideal location within easy reach of Alicante airport and the Costa Blanca beaches.